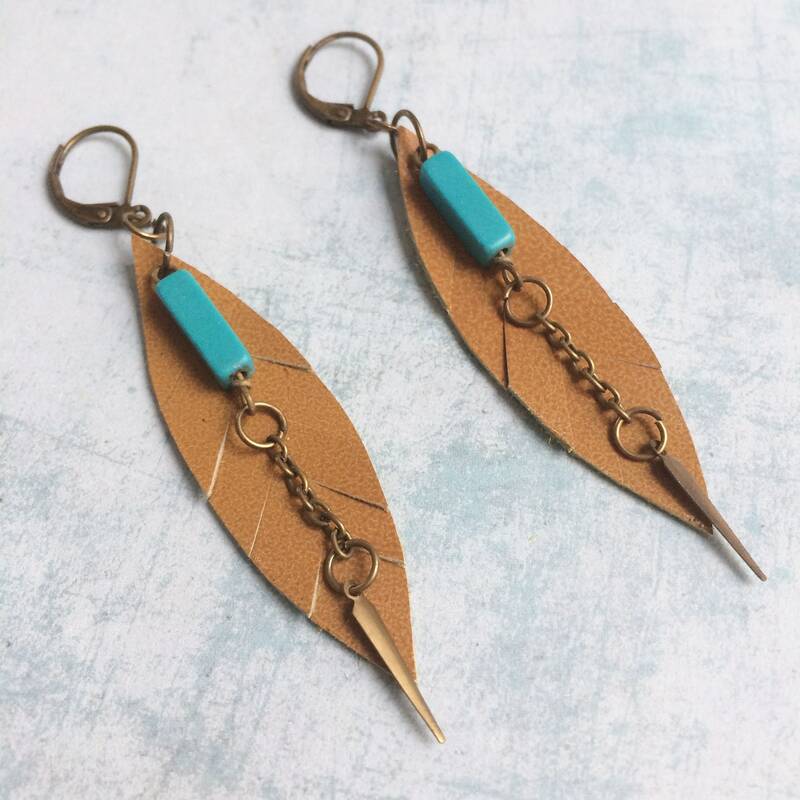 Rectangular turquoises with brass chain and pendant in the shape of arrow. 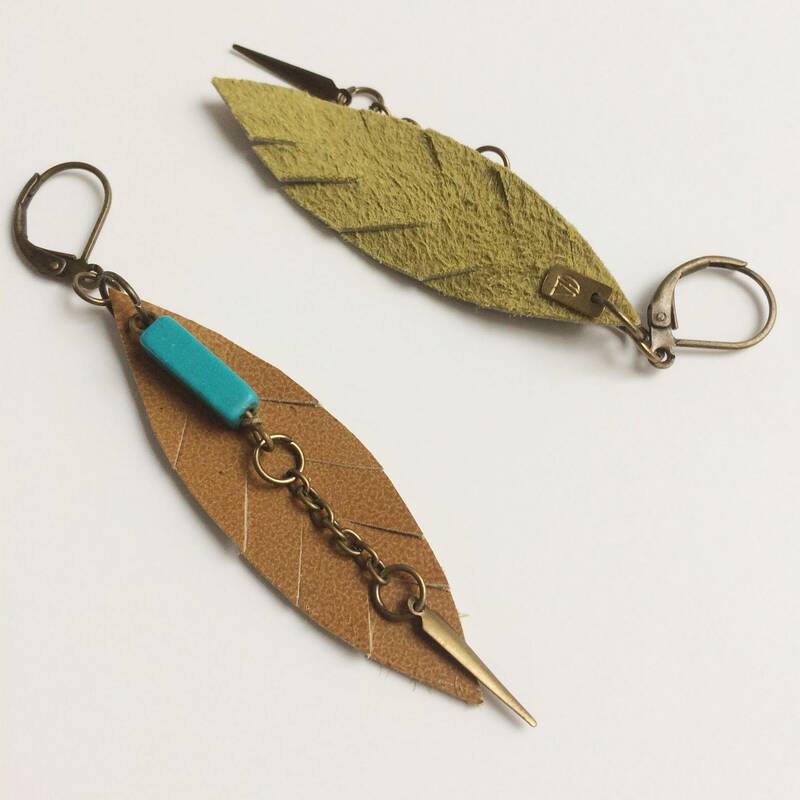 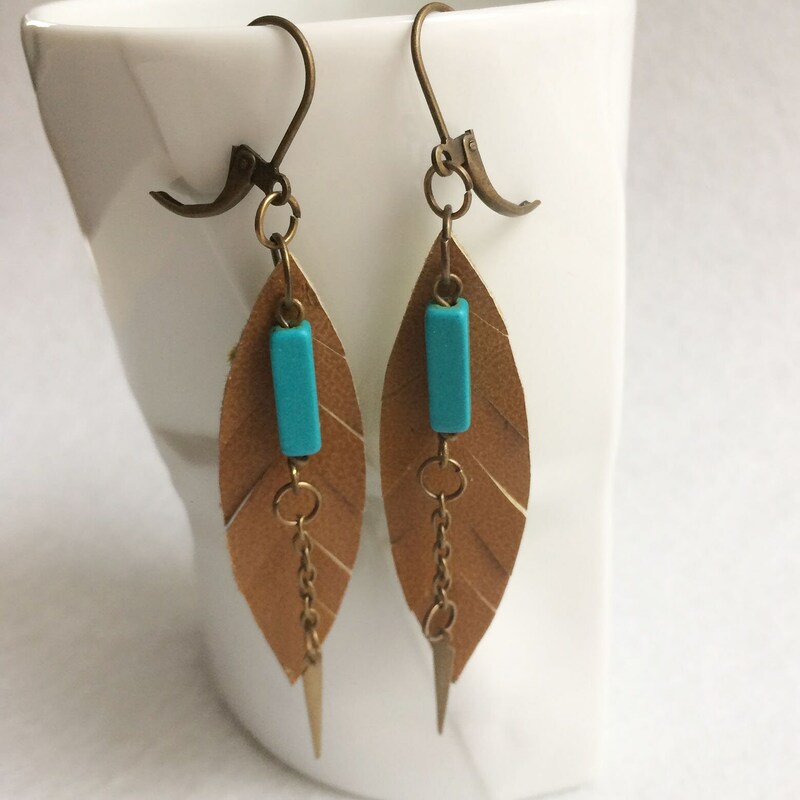 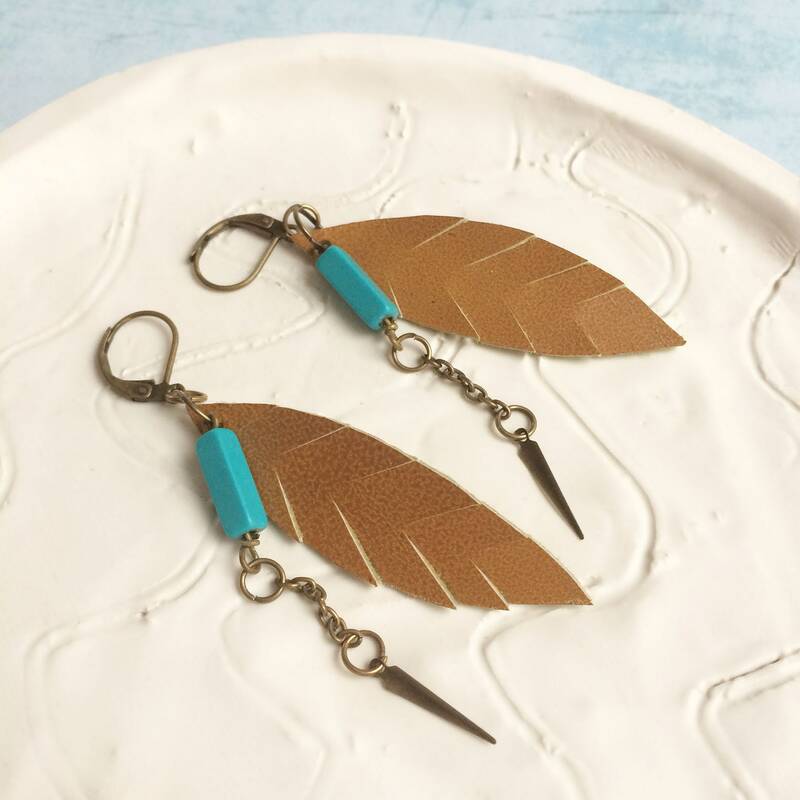 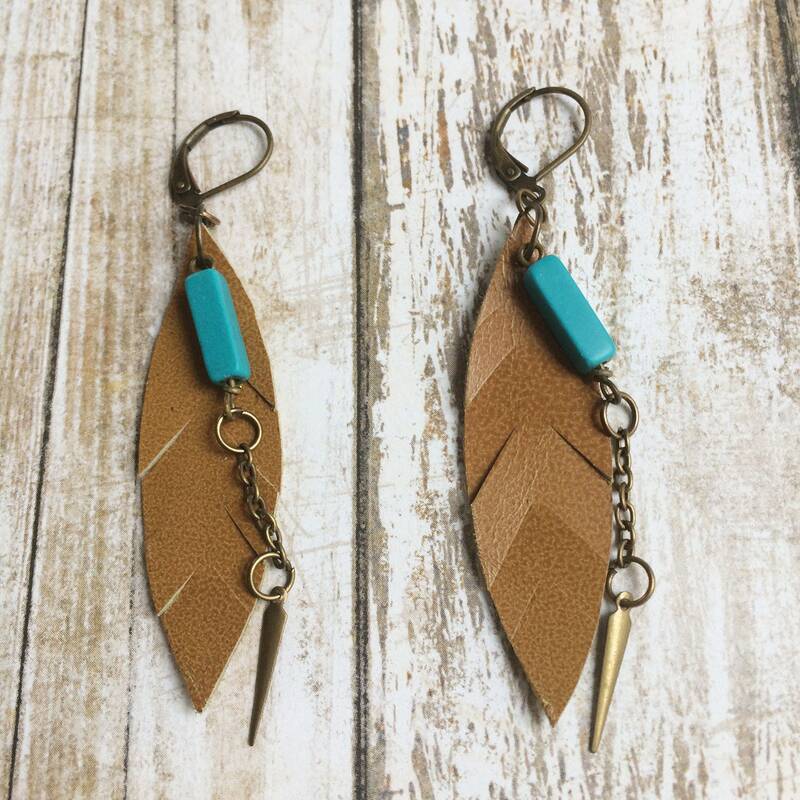 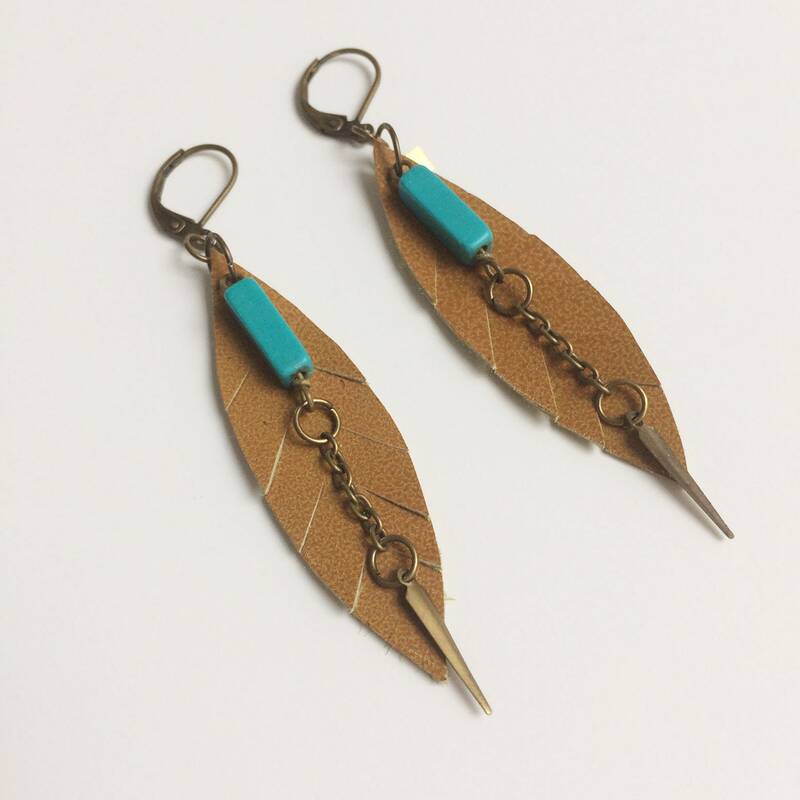 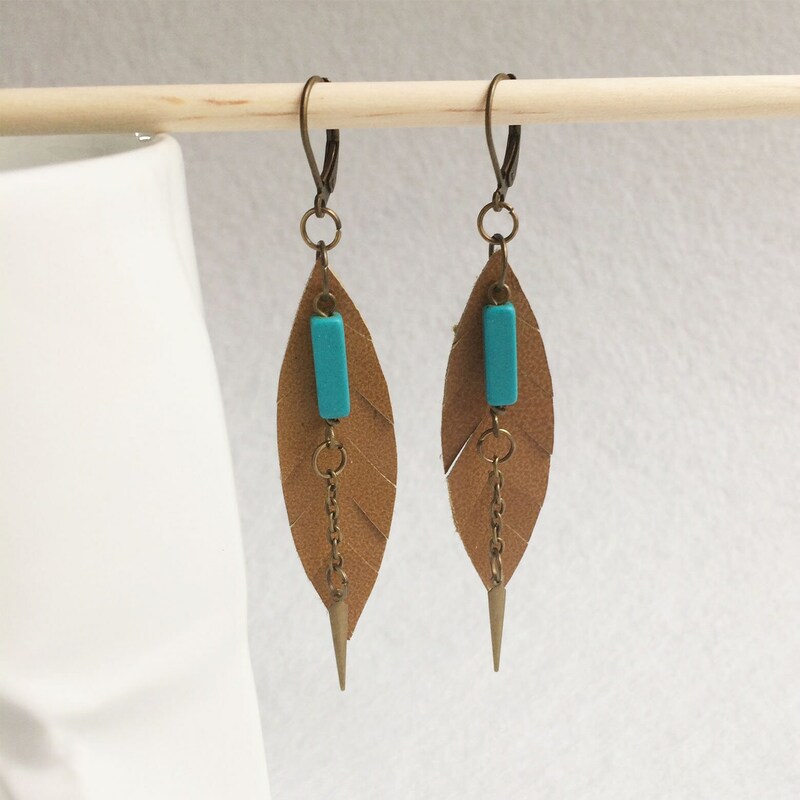 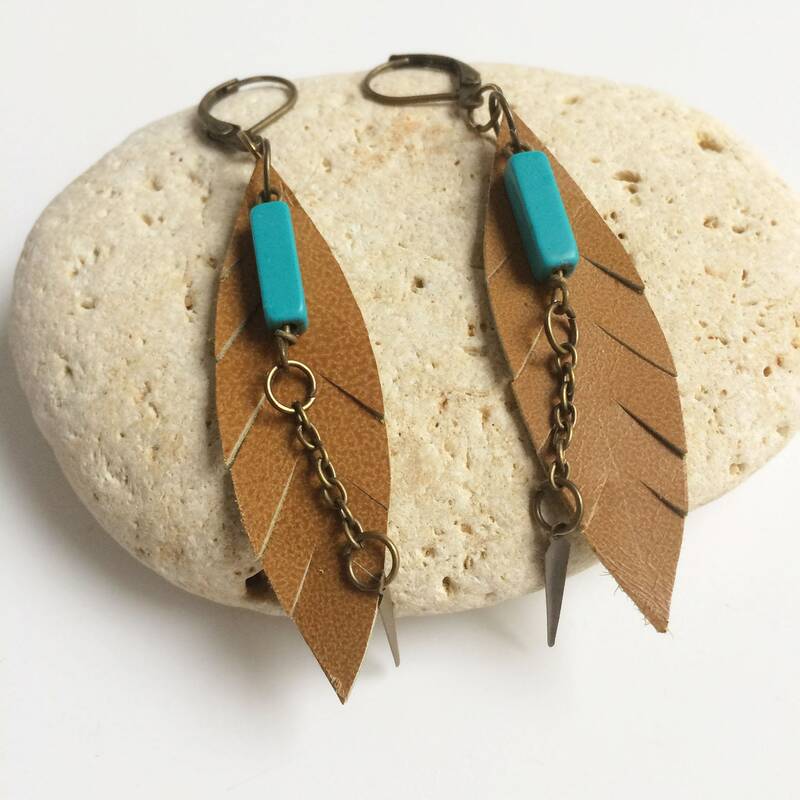 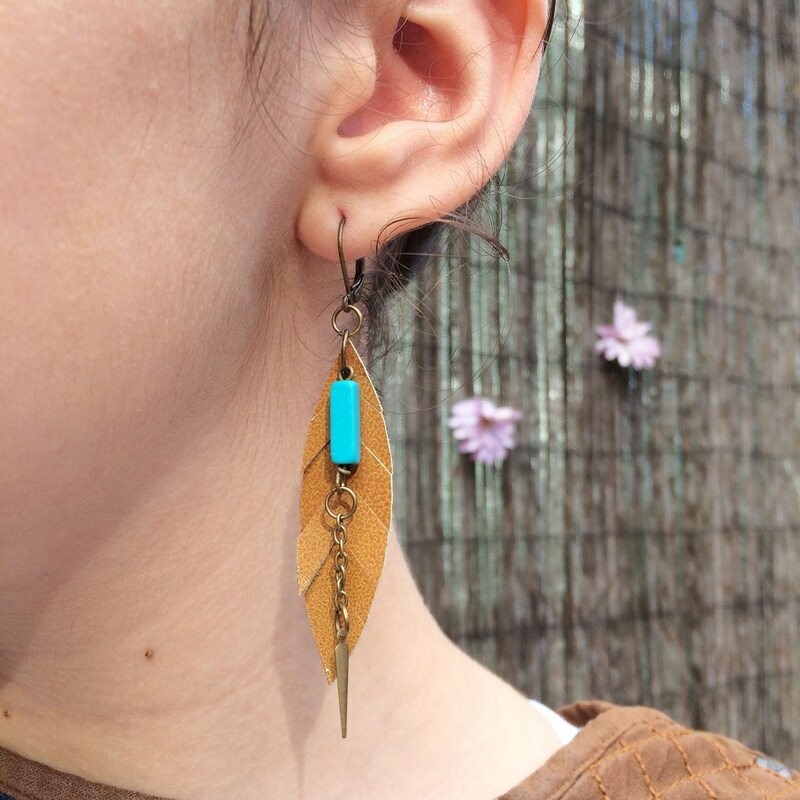 Brass, leather and turquoise stone. 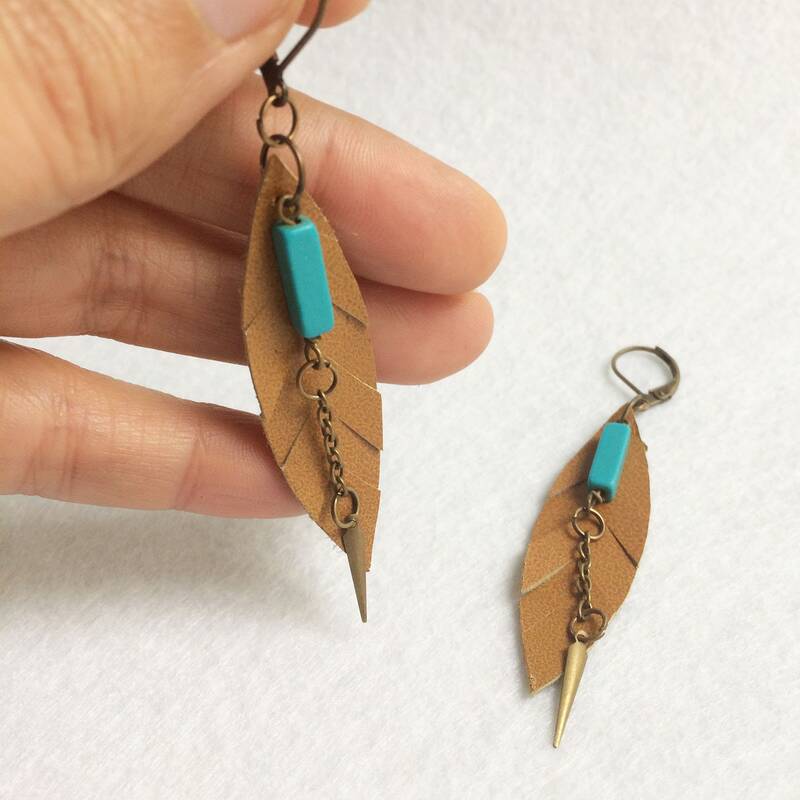 Golden, brown mustard and turquoise.